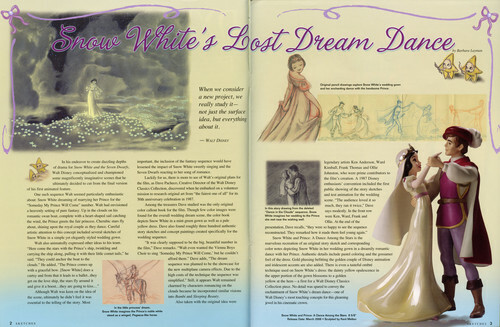 Snow White's Lost Dream Dance. This scene of Snow White and the Prince up amongst the stars was Snow White fantasizing her wedding with the Prince. Unfortunately, it was set during the "Some دن My Prince Will Come" song, and Walt felt it just wasn't essential to moving the story.. HD Wallpaper and background images in the Disney Princess club tagged: disney princess fairy tale walt disney disney princess snow white dancing lost dream dance the prince.